Cool! 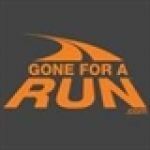 Save an average of 20% on Gone for a Run with 13 Coupon Codes, and 7 Deals! Details: Free shipping on orders of $75+. Expires on 02/06/2014. Details: Get 20% off Gazelle Runner arm sleeves. Expires on 02/19/2014. Details: Get 10% off any state product. Expires 3/10/14. Details: 20% off Reversible Performance Headband or AirMUFFS Ear Muffs. Expires 1/14/14. Details: Get 10% off Performance Ear Muffs. Expires 1/26/14. Details: 20% off all socks. Expires 1/19/14. free shipping on orders over $50 and a free valentines magnet. Details: Free shipping on orders over $50 and a free Valentines magnet. Details: 27% Off when you buy 25 or more Heart to run 24 oz stainless steel water bottle LE + Free Shipping.